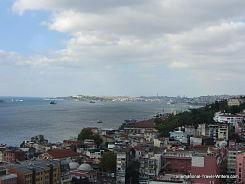 These Istanbul views basically feature bridges that join Europe and Asia, mosques that date back centuries, huge public squares like Sultanahmet Square (Hippodrowme), the Golden Horn adjoining the straits and architecture that is Byzantine, Ottoman, baroque or combinations of them. 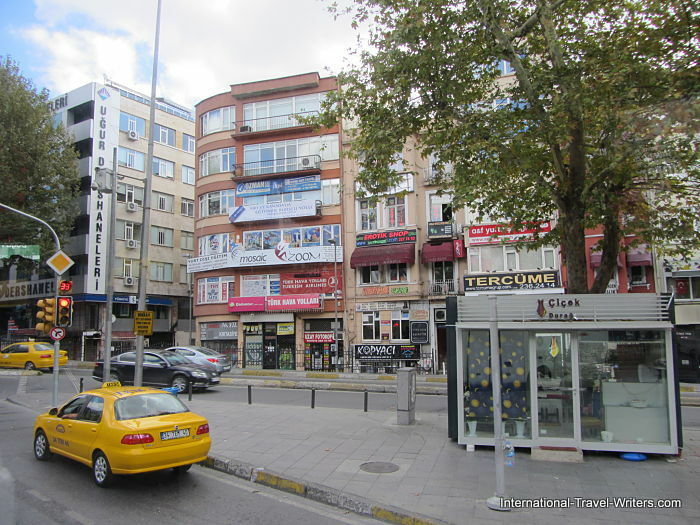 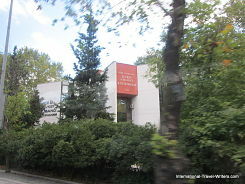 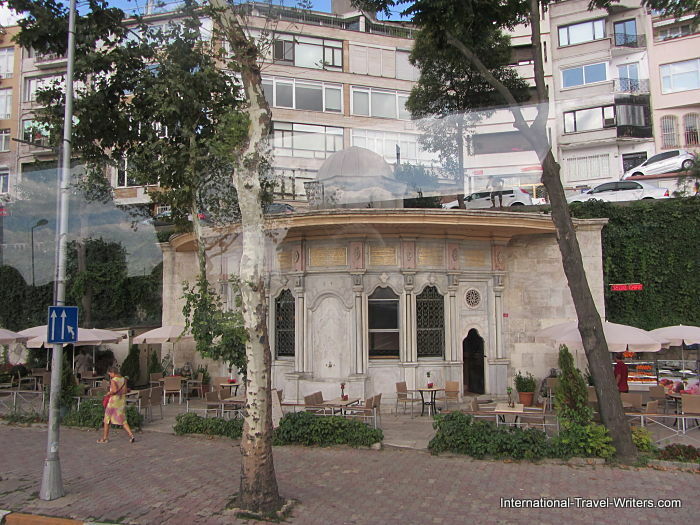 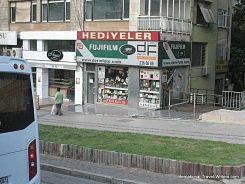 In our collection of Istanbul photos, neighborhoods and streets seen here have little commentary and are quick shots we were able to take while on a day tour off of our ship. 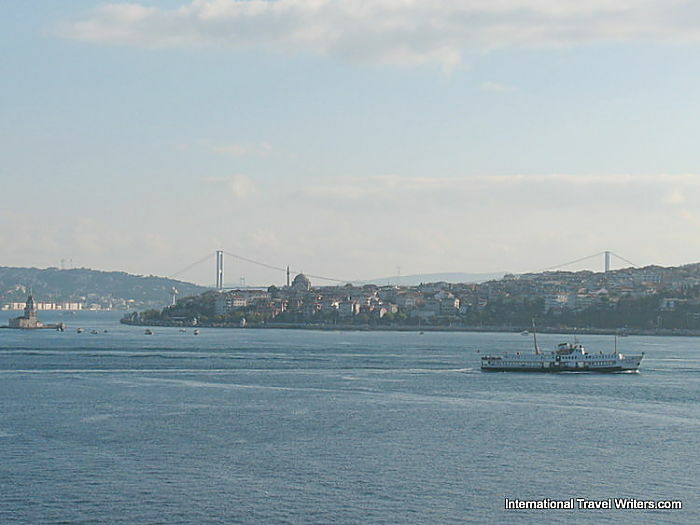 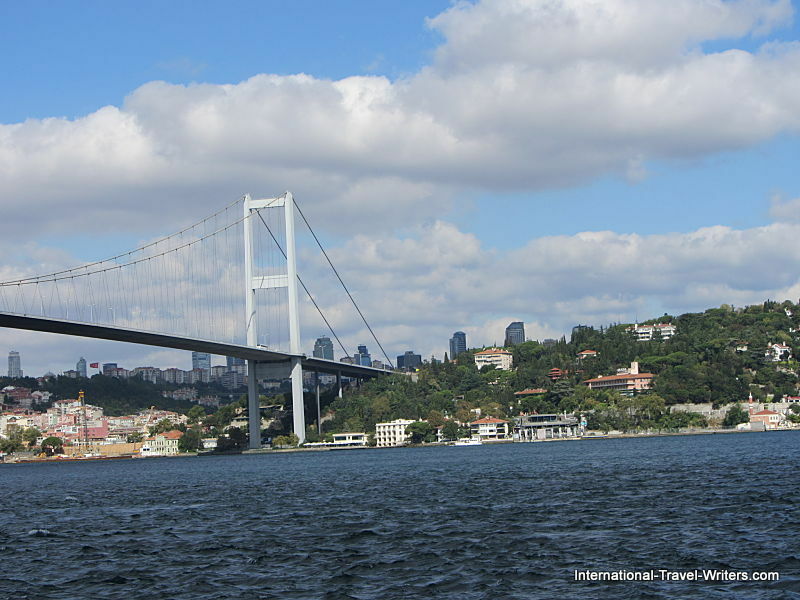 From beneath the Asian side of the Bosphorus Bridge you see amazing vistas of the European side. 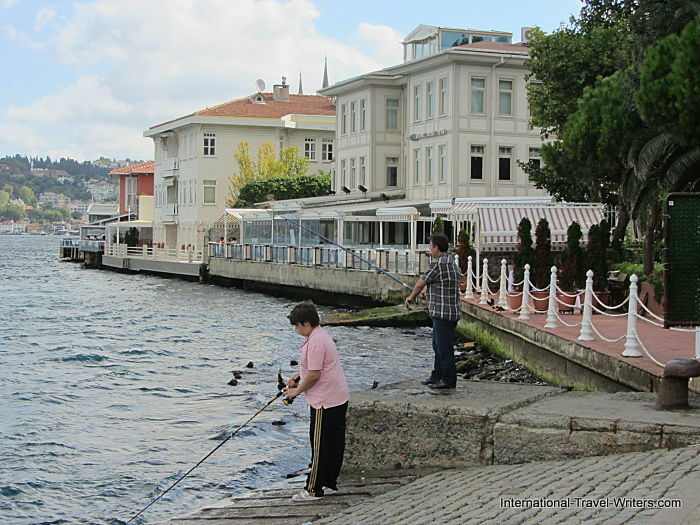 Our tour stopped at an area where there was a playground for kids and people of all ages were fishing. 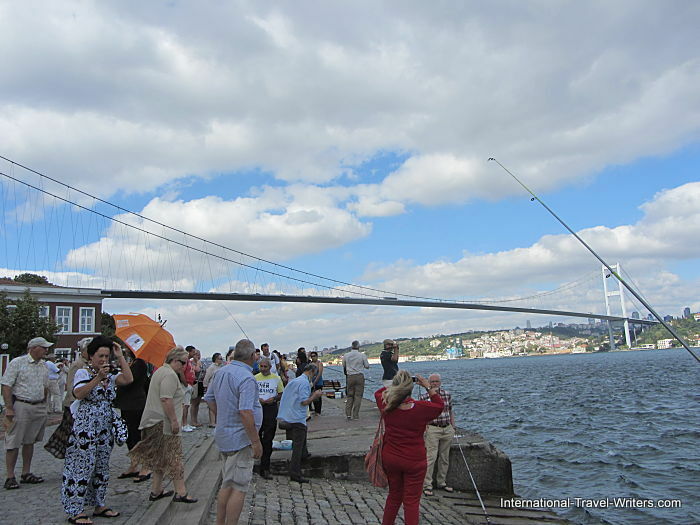 Fishing seems to be a pastime all over Istanbul so the assumption is that its a successful venture. 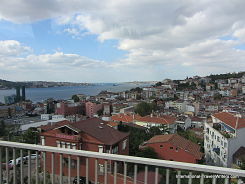 Views of Istanbul while crossing over the bridge to the Asian side and of the streets to get us there. 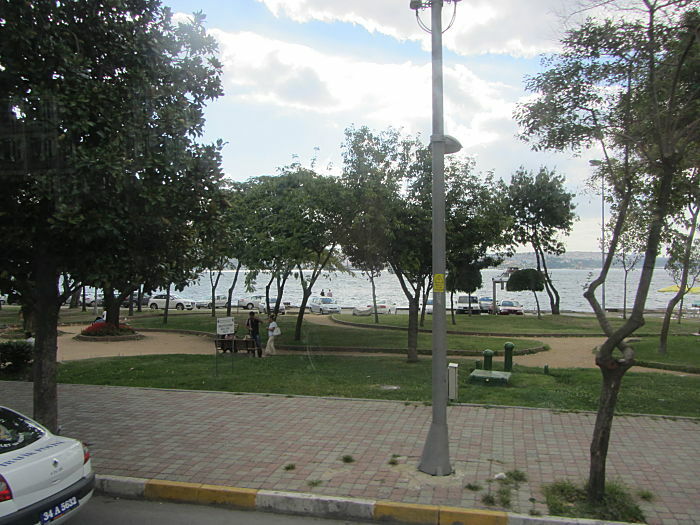 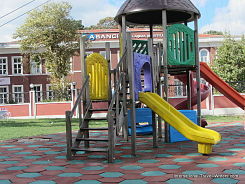 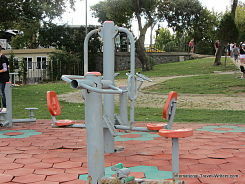 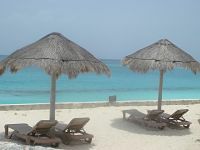 There are both small parks and large parks lining many waterfront areas. 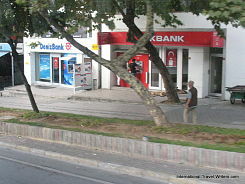 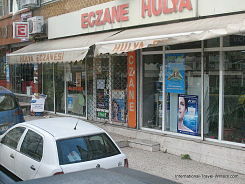 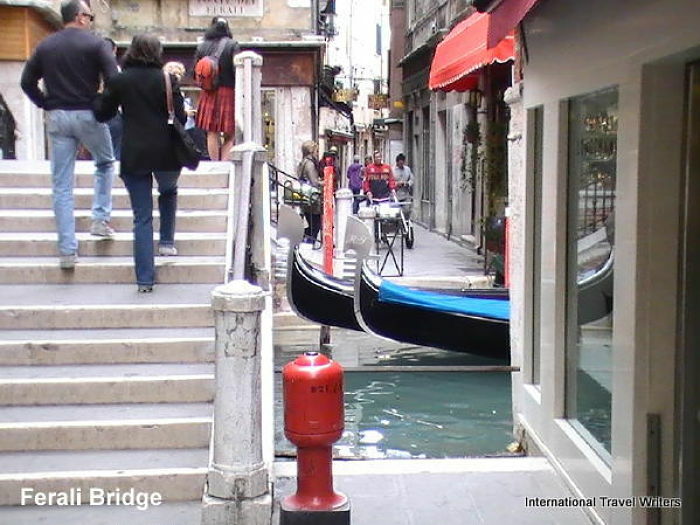 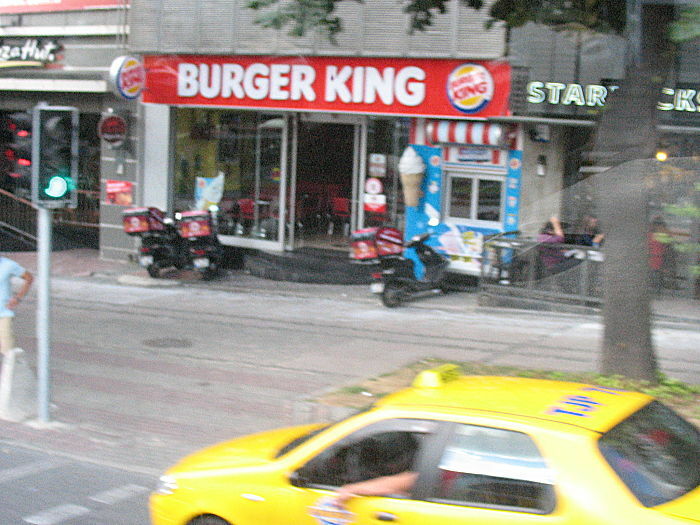 Shopping areas with all the typical storefronts including banks. 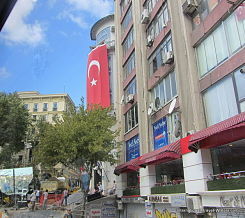 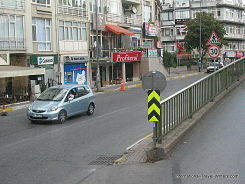 Although there are numerous street signs and directional signs, they are in the Turkish language, but with a map in hand you get the general idea of where you're headed. 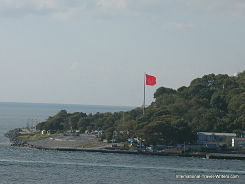 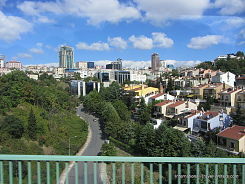 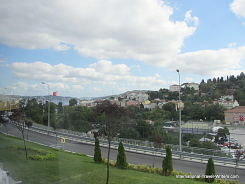 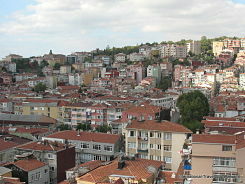 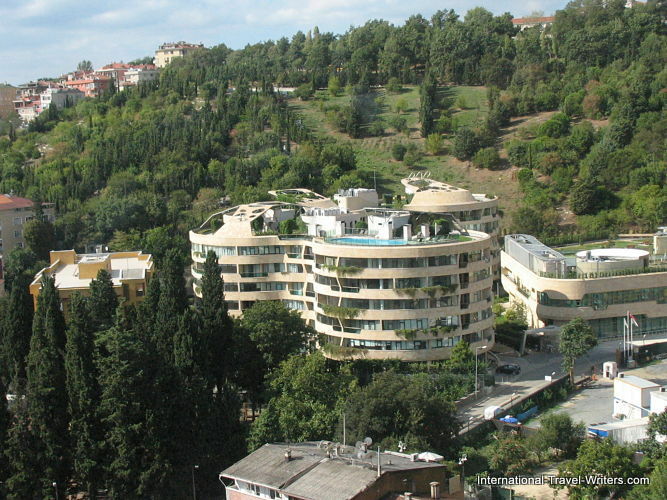 There are numerous modern apartment buildings with panoramic views of Istanbul waters that add to the diversity of the city. 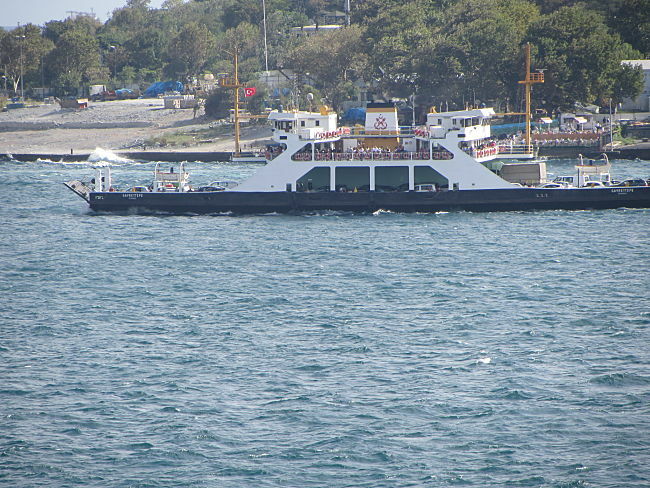 Ferries are constantly on the move, transporting vehicles and passengers. 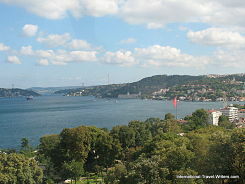 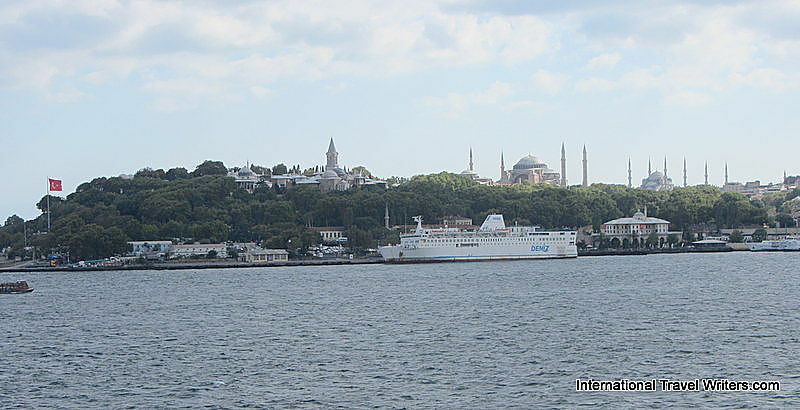 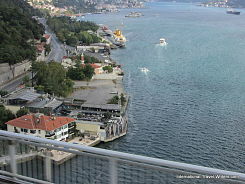 In the above photo you can see Maiden's Tower islet on the left. 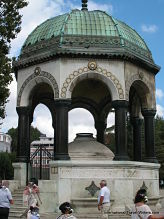 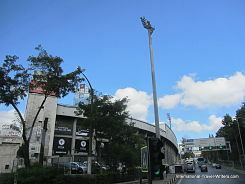 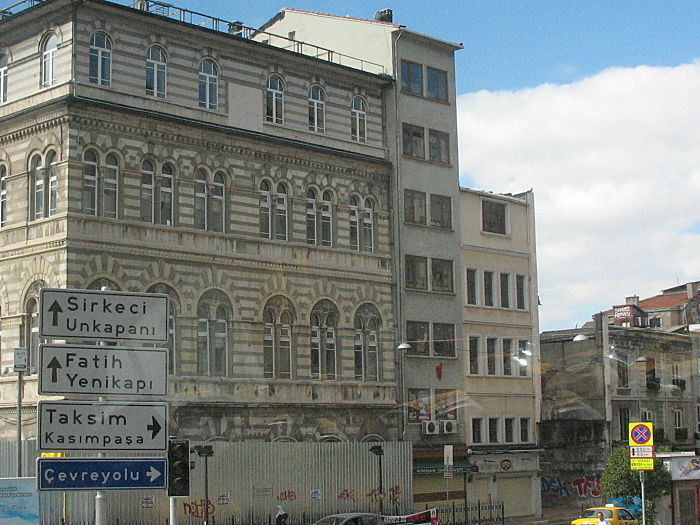 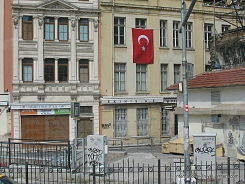 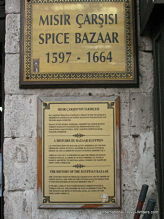 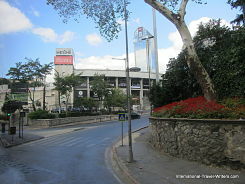 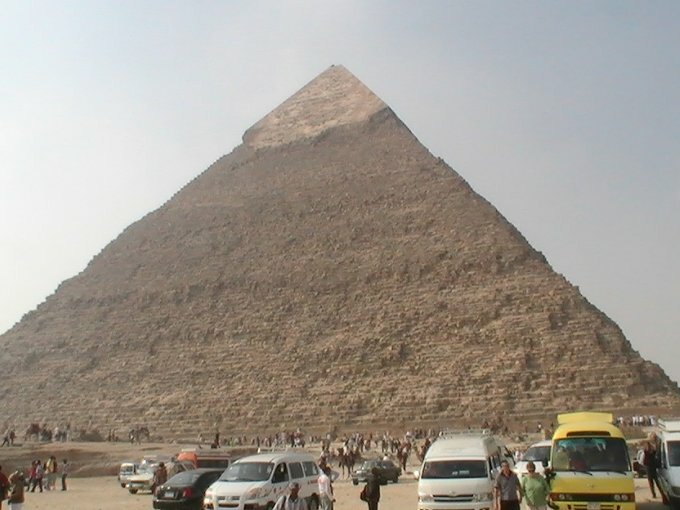 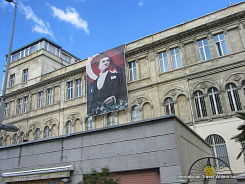 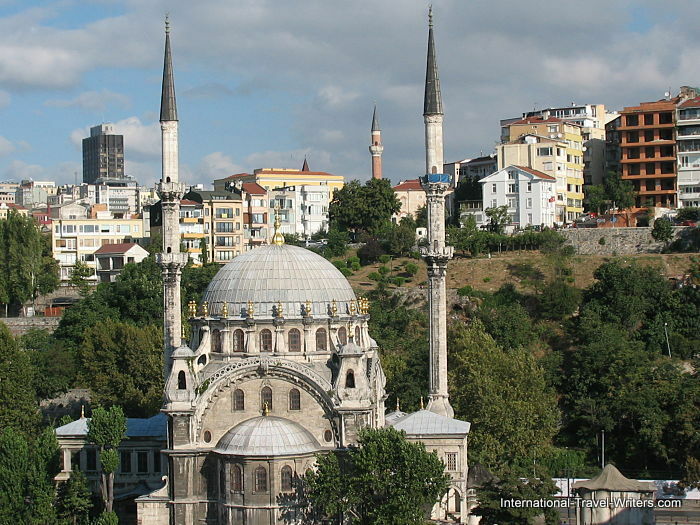 Details are on the Istanbul Landmarks page. 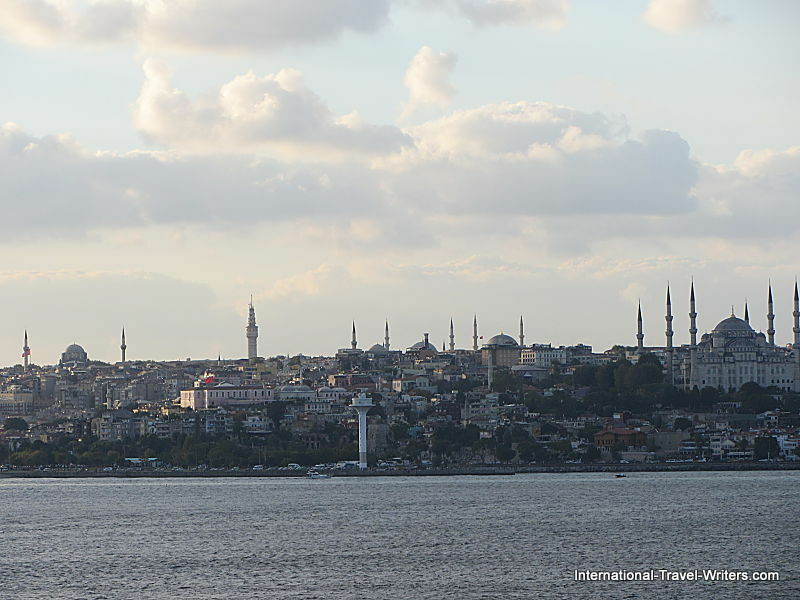 Minarets from the mosques dominate the Istanbul skyline.